Joe Quinones' interweb-log: Canary & Zatanna Sneek Skeep, part 8! Canary & Zatanna Sneek Skeep, part 8! Just three more weeks until the release of my and Paul Dini's original graphic novel, Black Canary and Zatanna: Bloodspell. Woo! 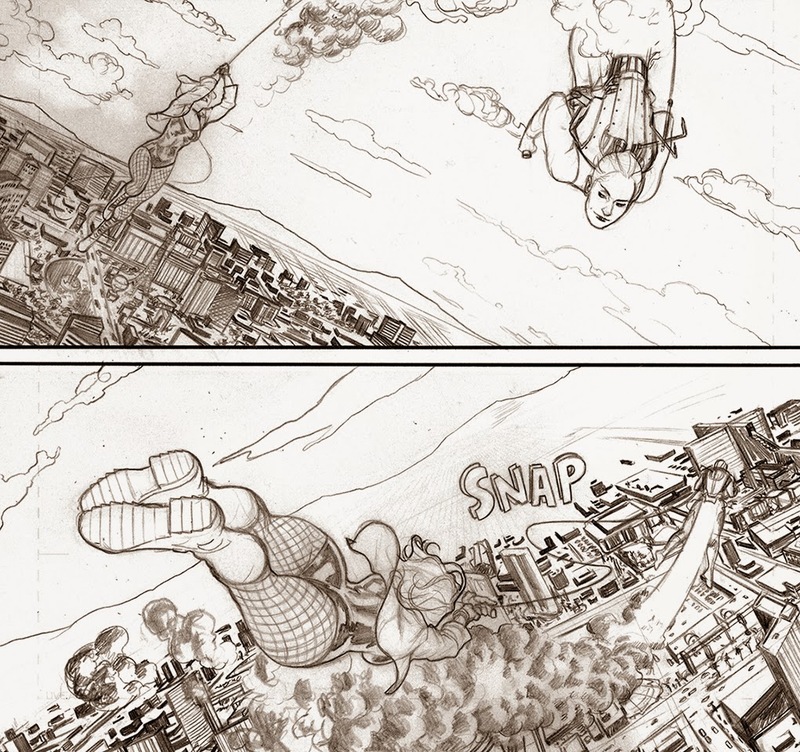 Above is a tease from one of the action scenes of the book. Enjoy!